The Delhi based Hero ISL club representing the north of India, started its campaign for 2016 under the able hands of Italian World Cup winner Gianluca Zambrotta. 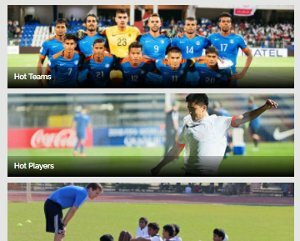 The Italian legend, who came on board spearheading the coaching team, also retained some key players from the last season, one being his famed opponent in the 2006 FIFA World Cup and the current Marquee player for the Delhi Dynamos FC, French professional footballer Florent Malouda. The others to be retained were Spanish Goal Keeper Toni Doblas and Ghanaian forward Richard Gadze. 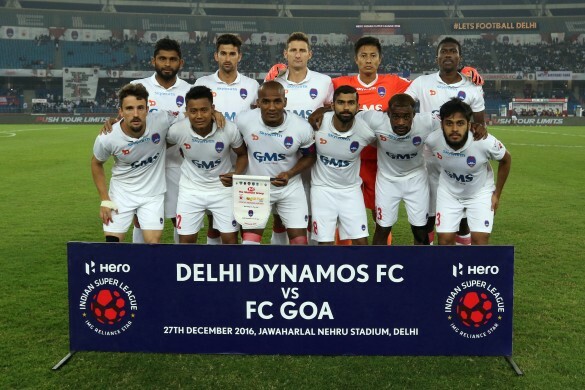 Under the astute tutelage of Gianluca Zambrotta, Delhi Dynamos FC has been easily one of the best sides during the third edition of the Hero ISL. Scoring goals and creating chances at will, the Lions have been dominant in almost every game and have played their hearts out to reach the semi-finals for the second time running. Losing just three games, the Lions have displayed great form throughout, with as many as four opposition coaches choosing them as favorites to the race to the title. The team has won five of its fourteen games, all of them convincingly, drawing six games in the process. Delhi Dynamos are the only side this season, who have remained unbeaten at home. The Lions have already shown they’re capable of defeating the best in the business and having cruised to the semis, Zambrotta would be hoping his attacking team does one better and wins the trophy this time. 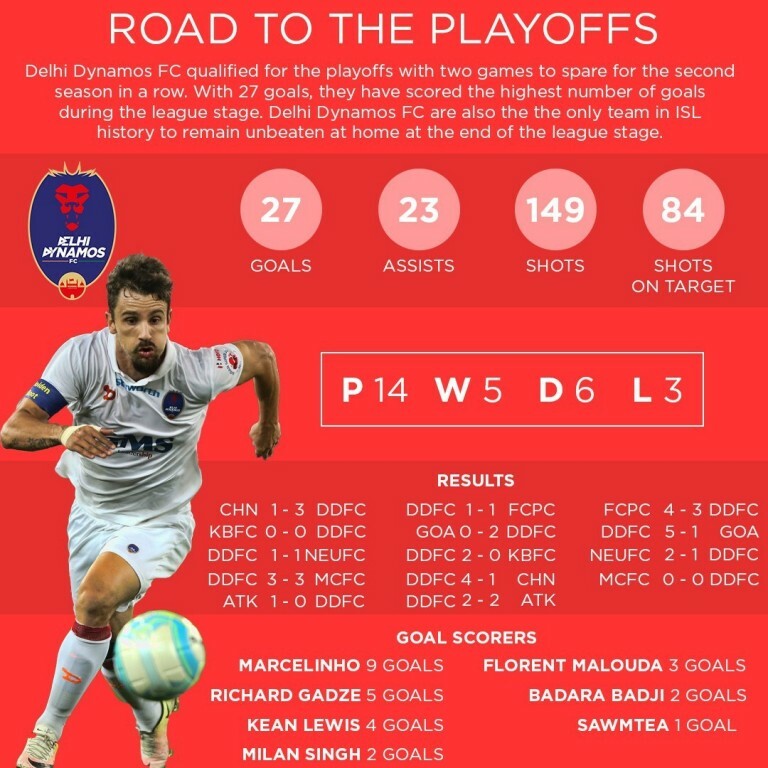 Delhi Dynamos have put in some stellar performances on their way to the playoffs. Brazilian winger Marcelinho has been one of the best players this season in the league. The creative forward has set the benchmark for attacking statistics, having scored nine goals in thirteen appearances, also notching five assists in the process. The winger has been directly involved in more than 50% of his team’s goals, which has made the Lions the best attacking side in the league with 27 goals. 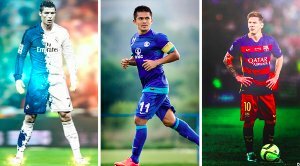 Chennaiyin FC, defending champions and the team which has been ousted from the knockouts, sit at the second spot with 20 goals. If Marcelinho has been the shining light in the attacking third, his able support to Ghanaian striker Richard Gadze, who has rocketed five goals in the league, cannot be unnoticed. The success of the side can just not be credited to the foreigners though. Kean Lewis has taken a lot of responsibility attacking-wise, also forming a brilliant partnership with the ever-so-reliant Souvik Chakraborty (who is the only ISL player this year to have played the whole of 90 minutes in all the matches so far) on the right wing of the field. The Mumbai-born winger has scored four goals, while contributing two assists. Approaching the play-offs as the highest Indian scorer for his team this year, Kean has scored some really important goals for the Dynamos and has been unarguably one of the best finds of the season. In the midfield, Milan Singh and Florent Malouda have been completely indispensable for Zambrotta. The former Chelsea winger has adapted nicely to his new role in midfield and complements his attacking troika extremely well. He has scored thrice and has got five assists, summing up his marquee status to the hilt. Milan, on the other hand has been very influential in breaking up opposition attacks, having made 29 tackles and 16 interceptions in the thirteen games he has played also scoring two critical goals for the team. In defence, Ruben Gonzalez Rocha and Anas Edathodika have been rock-solid at the back keeping the backline safe and organized on various occasions. 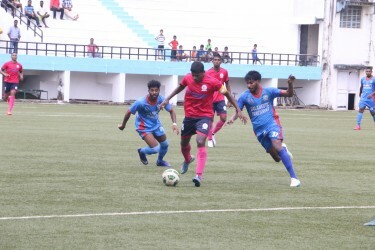 The right-back spot has been literally owned by Souvik Chakraborty, who’s won over the coach and fans with his brilliant performances throughout the league phase. The Indian defender is on the second spot in the number of tackles made with 57 tackles. Alongside that, he has also made 25 interceptions, one of the highest in the league. As the Delhi Dynamos gear up for their first leg of the play-offs against Kerala Blasters FC and their intimidating fan support in Kochi on the 11th December, all eyes would be set on how do the Lions edge out on their opponent the third time. The stats still favour Delhi Dynamos FC, as the Blasters have failed to emerge victorious against the Lions this season. In the previous two encounters Delhi Dynamos FC drew the first match against the Blasters in the away game, while the home leg favoured the Dynamos who emerged victorious with a 2-0 convincing margin.